Freebie Download - Just click on the picture to the right and download my favorite menu planner for free! This is how I make out my menu plans every month. I pick the meals and then decide each day what I feel like making. You can assign days with this system if you want to, but I don't. 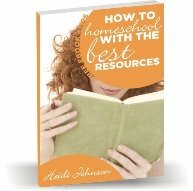 I hope you like this free resource. Do you need some cooking help? 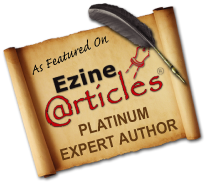 Here's an article I wrote when I wrote my first book "Deliciously Simple". I still use this system today and love to share it with others. 1. Observe - Look at inefficient cooking and cleaning up. Are you browning only 1 # of ground beef, chopping only 1 onion, etc? How much harder is it to put a tablespoon of oregano in a pot as opposed to a teaspoon? 2. Multiply - Use your regular meal preparation time to cook a quadruple meal once a week or less. Focus on 1 meal (and recipe) you're already cooking. Eat 1 meal that night and put up to 3 more in the freezer for another busy day. Do this 3 times and you have 3 good healthy home cooked meals you ate and *9* meals in the freezer! I had over 50 meals in the freezer when my third daughter was born! This happened without any conscious planning on my part and with very little extra effort. I could have had some cooking help and extra recipes, but I just cooked a quadruple meal once a week for the last few months of the pregnancy and the meals just multiplied. Imagine my surprise when I counted the meals in my freezer one day and found such a quantity of meals available. When you cook 1 quadruple meal you put up to 3 more meals in the freezer. When you cook 4 quadruple meals over the course of a month, you then have 4 good meals that you have eaten and 12 MORE meals in the freezer! Now that's how to save time cooking! The beauty of this system is that you can do it as little or as much as you want to. This system is all the cooking help you need. You can cook 2 or 3 quadruple meals a week for a while and not cook at all during a time when you have out of town guests, or during summer vacation, or Christmas vacation, or when you have an operation planned. You can also go without cooking any quadruple meals for several months if you so choose. This system is so adaptable to your needs and can help you save time cooking. Some people tell me that cooking really isn't that difficult or time consuming. Cooking healthy, low-fat, low-meat dishes does take more time than putting a prepared grocery store meal in the microwave or throwing a piece of meat in a deep fryer or plopping a can of cream of mushroom soup over a piece of meat. 3. Plan and Prepare - Take 5-10 minutes twice a month to plan 8-12 meals that can be fixed during the course of the next 2 weeks. When you plan menus you save 30% more money than the person who doesn't plan. Always go to the grocery store with a list and buy what is on that list. Take a 1/2 sheet of paper and divide it into 2 columns. You can take this list with you when you go grocery shopping. This way you know exactly what you will need to prepare meals for the next 2 weeks. You don't need to assign a day to each meal. 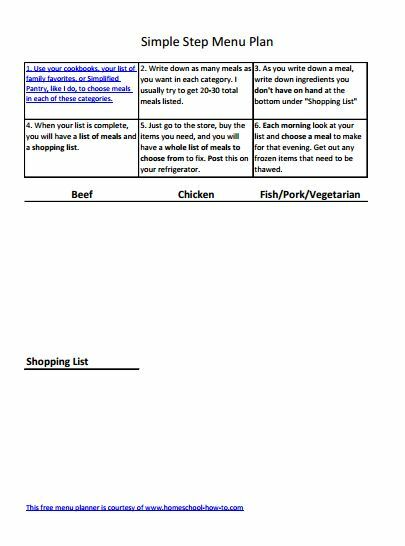 It is very refreshing to know that you can look at your list each morning and depending on the mood you are in you can choose from your list of meals and know that you have the ingredients needed to prepare that meal and the recipe. The basic concept of my system for cooking help is not to cook 30 meals at once or even two weeks of meals at a time. I have tried to cook 9 different meals at one time and just about lost my mind. No one should have to prepare more than one meal at a time (although preparing 2 different meals at a time isn't too hard with a little practice). This cooking system can be used by anyone who does the cooking for their family. This is a "streamlined" approach and is realistic for those who are too busy to cook more than one meal at a time, or for those who have small children and are not able to take on such a huge endeavor of cooking several meals at a time, or just for anyone who needs a little cooking help. Do you know what you're making for dinner tonight? Now you can always know what you're having and have the ingredients and recipes on hand for great meals without a lot of preparation or work on your part. 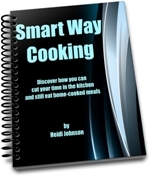 Smart Way Cooking will help you overcome all these obstacles. You'll wonder why you didn't think of this before. * Use this system to save time so you can do other things you enjoy more than cooking! If you want even more cooking help and don't want to dive into freezer cooking just yet, then try out this system of simple meals. 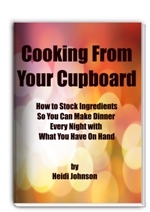 You'll be able to put your cooking on auto-pilot with this ebook using NORMAL ingredients that you can stock in your kitchen.